From acclaimed filmmaker David Sutherland (Kind-Hearted Woman, Country Boys, The Farmer’s Wife), Marcos Doesn’t Live Here Anymore examines the U.S. immigration system through the eyes of two unforgettable protagonists whose lives reveal the human cost of deportation. Elizabeth Perez, a decorated U.S. Marine veteran living in Cleveland, fights to reunite her family after her undocumented husband, Marcos, is deported. Meanwhile, Marcos is alone in Mexico, working as a soccer referee, struggling with depression and fighting the urge to cross the border illegally to see his family. With his signature raw, unfiltered intimacy, Sutherland weaves a parallel love story that takes us into a world often lived in the shadows. 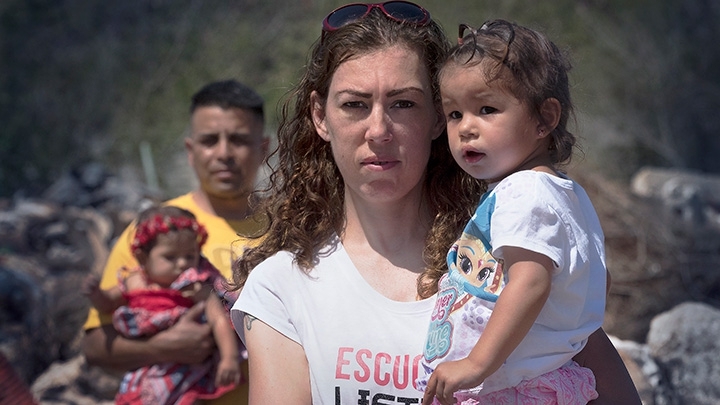 When Elizabeth’s efforts hit a legal brick wall, she must plan for the unthinkable alternative: leaving the U.S. with her children to live in exile in Mexico. Watch Frontline: Marcos Doesn't Live Here Anymore April 15 at 9:00 p.m. on WCVE/WHTJ/WVPT. Check listings for additional air-times.